An 1887 depiction of the Molbo story "The Stork In The Corn"
A Molbo story is a Danish folktale about the people of Mols, who live in eastern Jutland near the town of Ebeltoft. In these tales the Molboes are portrayed as a simple folk, who act foolishly while attempting to be wise. 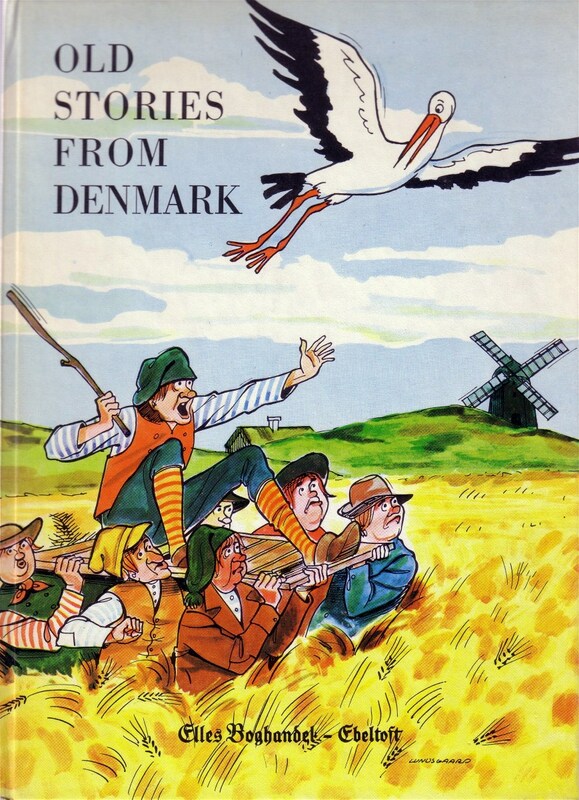 Molbohistorier (Molbo stories) were handed down by generations of Danes before finally appearing in print. Christian Elovius Mangor, who by permission of the Danish monarch Christian VII had started a printing press in Viborg, published the first collection, Tales of the well-known Molboes’ wise and brave actions, in 1771. A second edition followed in 1780. 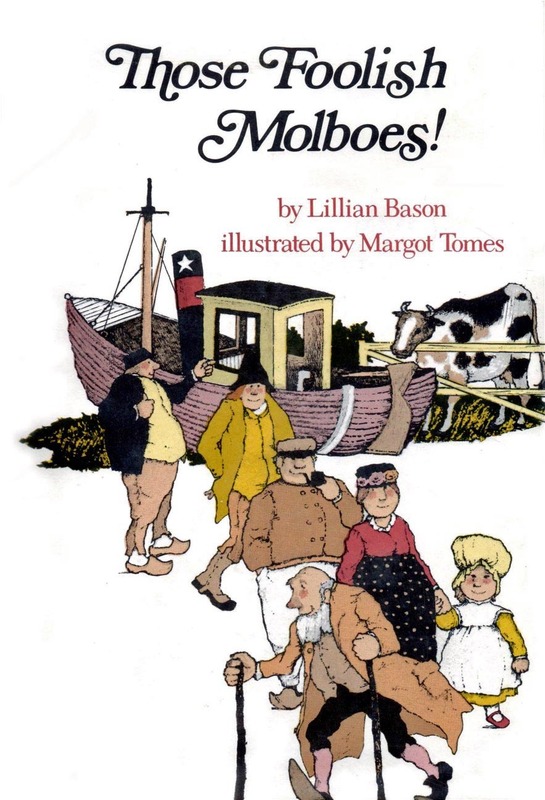 Over the years Molbo stories have been published in books for adults and children in several languages, including Danish, Norwegian  and English. Similar narratives are found in other cultures. England, for instance, has "Lazy Jack"  and "The Wise Men Of Gotham." In Finland there are stories about the people of Holmola (Hölmöläiset). In 1898 the operetta "Molboerne" (The People Of Mols) by composer Olfert Jespersen and lyricist Herman Petersen premiered in Copenhagen. The work not only had a memorable score but numerous references to such Molbo stories as “The Stork In The Corn” and “Leg-Sorting”. Norway, which for nearly three centuries was part of the kingdom of Denmark-Norway, received many cultural influences from Denmark. Consequently, Molbo stories are known in both Denmark and Norway, and the word “Molbo” is used in both countries as a term of disparagement. The expression "Molbo politics" is prohibited when speaking from the rostrum in Norway's parliament. ^ Christian Elovius Mangor runeberg.org. Retrieved: May 25, 2014. ^ C. E. Mangor denstoredanske.dk. Retrieved: October 12, 2014. ^ Lazy Jack authorama.com. Retrieved: May 25, 2014. ^ The Wise Fools Of Gotham sacred-texts.com.com. Retrieved: May 25, 2014. ^ "The Holmolaiset Build A House" google.com. Retrieved: May 25, 2014. ^ Tales from a Finnish tupa, by James Cloyd Bowman and Margery Bianco, (Minneapolis: University of Minnesota Press, 2009) pp. 220-230. ^ Molboerne (eventyrspil)] mono.net. Retrieved: May 25, 2014. ^ A priceless Molbo-story by Ariane Schjelderup and Øyvind Olsholt buf.no. Retrieved: May 25, 2014. This page was last edited on 18 August 2018, at 04:25 (UTC).